The Robert A. Grimm Children’s Pavilion for Emergency Services is the most recent addition to Memorial Hospital. The Pavilion is the only dedicated pediatric emergency department between Los Angeles and Madera and completes the continuum of care for pediatric patients in Kern County. 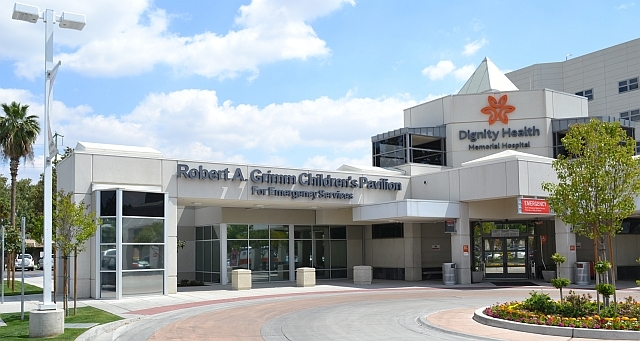 The Robert A. Grimm Children's Pavilion for Emergency Services is located adjacent to the existing emergency department and features separate waiting and treatment areas for pediatric patients. It includes an urgent care “fast track” exclusively for these patients. All patients are seen by doctors and nurses specially trained in pediatric medicine. The Children’s Pavilion enables Memorial Hospital to deliver essential care in a comforting environment for children and their families. Construction of The Robert A. Grimm Children's Pavilion for Emergency Services was made possible by transformational philanthropic gifts from the Robert A. Grimm Family Foundation and donations from throughout the community.